Black and white of streetscape, Sparks Street, Ottawa, ON, ca. 1925. 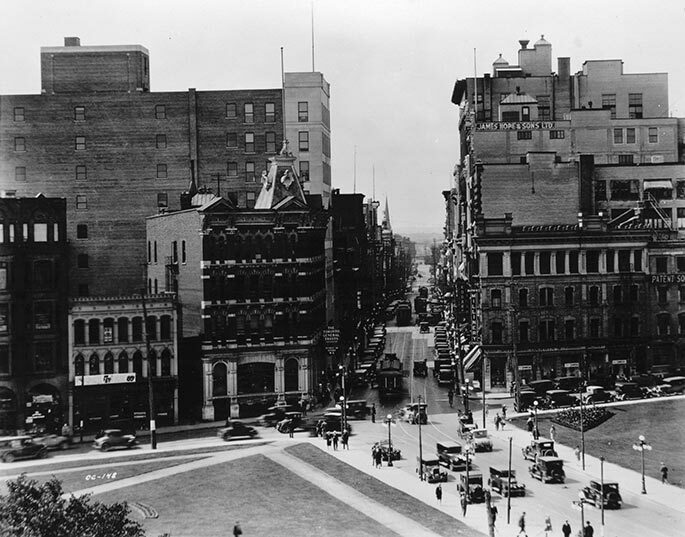 The image looks west on Sparks Street, with an elevated view, althought not quite birds-eye. Buildings in background are multi-storied.